Intracytoplasmic Sperm Injection, commonly referred as – ICSI is a simple way of saying “inject sperm into egg.” ICSI is a very effective method to fertilize eggs in the invitro-fertilisation (IVF) lab after they have been aspirated from the female. 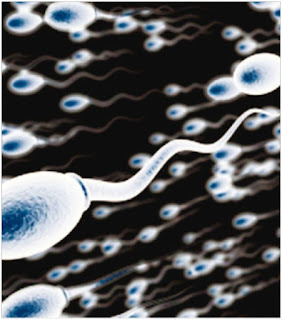 Its main use is for significant male infertility cases. IVF with ICSI involves the use of specialized micromanipulation tools and equipment and inverted microscopes that enable embryologists to select and pick up individual sperm in a specially designed ICSI needle. The needle is carefully advanced through the outer shell of the egg and the egg membrane - and the sperm is injected into the inner part (cytoplasm) of the egg. This usually results in normal fertilization in about 75 to 85 per cent of eggs injected with sperm. However, first the woman must be stimulated with medications and have an egg retrieval procedure so we can obtain several eggs for in vitro fertilization and ICSI. Who should be treated with intracytoplasmic sperm injection? There is no ‘standard of care’ in this field of medicine regarding which cases should have the ICSI procedure and which should not. Some clinics use it only for severe male factor infertility, and some use it on every case. The large majority of IVF clinics are somewhere in the middle of these 2 extremes. The thinking about ICSI has changed over time, and experts are now doing more ICSI (as a percentage of total cases) than was done between 10 and 12 years ago. As experts learn more about methods to help couples conceive, the thinking will continue to evolve. ICSI can also be used where there have been previous IVF with no fertilization - or a low rate of fertilization (low percentage of mature eggs that were normally fertilized). Sometimes it is used for couples that have a low yield of eggs at egg retrieval. In this scenario, ICSI is being used to try to get a higher percentage of eggs fertilized than with conventional insemination of the eggs (mixing eggs and sperm together). The mature egg is held with a specialized holding pipette. The sperm is injected in the cytoplasm and the needle is removed. The eggs are checked the next morning for evidence of normal fertilization. IVF with ICSI success rates vary according to the specifics of the individual case, the ICSI technique used, the skill of the individual performing the procedure, the overall quality of the laboratory, the quality of the eggs, and the embryo transfer skills of the infertility specialist physician. Sometimes IVF with ICSI is done for “egg factor” cases - low ovarian reserve situations. This is when there is either a low number, or low “quality “of eggs (or both). In such cases, ICSI fertilization and pregnancy success rates tend to be lower. This is because the main determinant of IVF success is the quality of the embryos. The quality of the eggs is a crucial factor determining quality and viability of embryos. In some cases, assisted hatching is done on the embryos prior to transfer, in order to maximize chances for pregnancy. ICSI and IVF are incredibly important biological advances for human beings. Thanks to these two, women and men with reproductive shortcomings can now get children.